The Morton House Museum (The Home of Benton Harbor History) has as its mission to use the history of Benton Harbor to help guide the revitalization of the city. 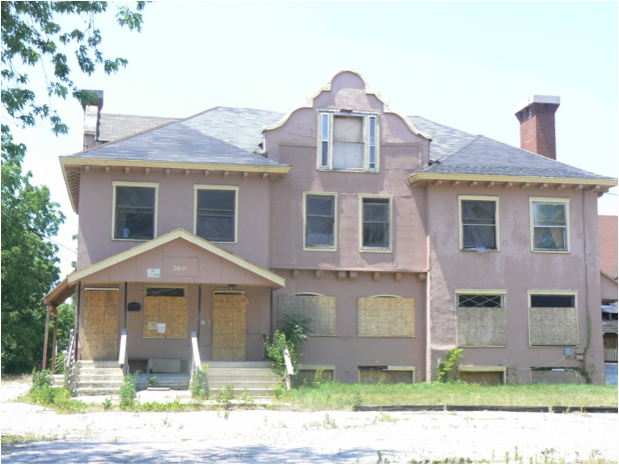 As part of this effort, we once again presented the 2012 Preservation Awards, and also the Most Endangered List for buildings in Benton Harbor. We previously made the same awards in August, 2010. The message of the 2012 awards was that wonderful things are happening in downtown Benton Harbor, but the neighborhoods are hurting. With one exception (St. John’s H.S. ), all the buildings winning the Preservation Awards are in the downtown area, and all the properties on the Endangered List are in the neighborhoods. We hope that the positive energy happening downtown can be continued in the neighborhoods of Benton Harbor. We’d like to see the revitalization of the whole city, not just downtown. St. John’s Catholic Church shows that a group of committed people can bring about positive results in the neighborhoods of Benton Harbor. The parish has been renovating the church and surrounding buildings, and even built new buildings in the church complex. It has also seen a significant increase in church membership. We’d also like to salute Scott Elliott and Eileen Cropley for being the pioneers and trend setters in the revitalization of the Arts District in downtown Benton Harbor. 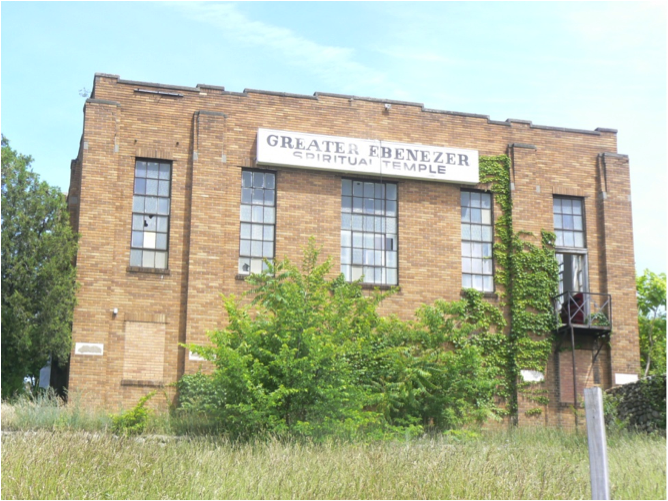 They took a real risk with the Citadel, and now we’re seeing some amazing results in the trendy and popular area in Benton Harbor. Wonderful old houses like the Bowlby House (576 Pipestone) and the Young House (760 Colfax) would obviously major losses if they were torn down. But dozens of houses around the city are being torn down willy nilly. Whole neighborhoods are endangered. It’s also distressing that local government officials are trying to tear down important buildings, both in the neighborhoods, like the Children of Israel Synagogue on the 2012 list and the Eleanor Club from the 2010 list. We hope that these two lists will show them that we need efforts on behalf of the whole city, not just the downtown area. - The building and land (including an old branch bank structure that existed behind the main building) were purchased and then extensively remodeled for use as offices. - It is approximately 36k sf. - The building and site were upgraded to current building codes, including ADA (Americans with Disabilities Act) standards for accessibility. - The 50's era facade was removed and replaced with a new brick facade. The architects had access to some of the original building drawings (it was originally constructed as a Sears store) which were used to create the new design, a close (but not exact) replication of the original. - All electrical, lighting, heating, cooling, plumbing and data/telephone systems were replaced during the renovation, upgrading it to a modern office facility standard. - Energy-saving high performance windows replaced the old ones. - Roof was replaced with a new single ply system. - A new elevator was installed. - New ceilings and flooring were installed. - New curbs, drainage systems, paving lighting and landscaping was installed in the parking lot behind the building. - Renovations were completed by Pearson Construction. 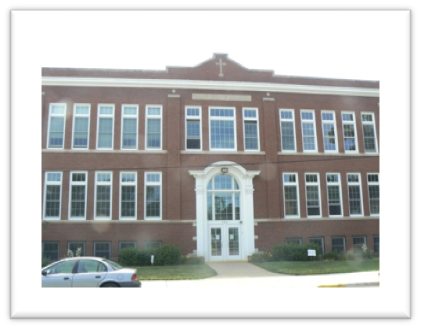 · Sister Mary Jo Holmes worked with students at St. John School who have either struggled with their current setting, dropped out of their current setting or been removed for some reason. She worked with them to facilitate a return to the normal setting or working toward a G.E.D. Diploma. There is no charge for this program and is open to all high school students in the Benton Harbor area. Contact the rectory for more information. 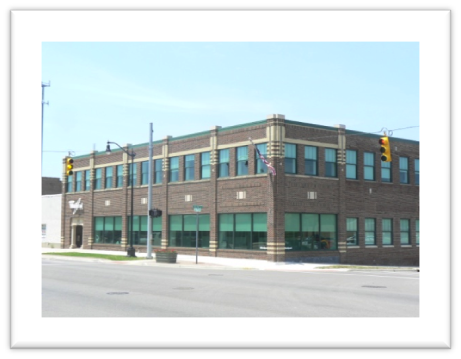 The Citadel Building at 91 Hinkley Street was constructed in 1928 as the Benton Harbor Salvation Army headquarters. It was formally dedicated in May of 1929. In 1954, an addition was constructed to provide a gymnasium increasing the total size of the building to more than 10,000 SF. In the 1970's, programming and administrative functions were moved from the Citadel and shortly thereafter the building was completely vacated. 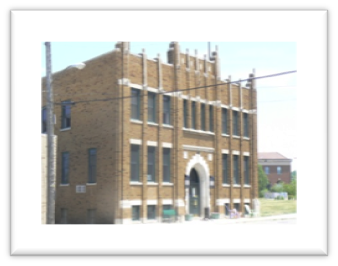 For nearly three decades the building stood vacant until Scott Elliott and Eileen Cropley purchased the building which was rededicated on July 11, 1998. The Citadel was designated as a recognized landmark by the Fort Miami Heritage Society of St. Joseph in July of 1998 and has been described as a "proto-art deco jewel." Eileen Cropley, an internationally recognized dancer who performed as a soloist with the Paul Taylor Dance Company in New York and with Rudolph Nureyev on Broadway, opened the Citadel Dance Center and became its director until her retirement . Scott and Eileen undertook extensive renovations of the building during their period of ownership and sold to Mike and Sarah Nadolski, the current owners, in October of 2011. The Nadolski's have continued both the renovations and the tenancy of the Citadel Dance department now under the direction of Lari Lawrence-Gist. The Nadolski's have expanded the programming of The Oak Room at the Citadel to include public and private performances and events. The Citadel continues to be an inclusive gathering place in the heart of the steadily flourishing Benton Harbor Arts District. 330 W. Main St. was originally built around 1928 by Indiana and Michigan Electric Company. I&M Electric used the building in two parts. The West half of the building was the service and maintenance garage for the repair of all of their service and utility trucks. High ceilings with massive exhaust ventilators located in the roof. Originally, there was a truck ramp out to Main Street where the current front door is located. The East half of the building housed the administrative offices for I&M including their accounting, engineering and metering departments. As with most buildings in downtown Benton Harbor, the building is built on a deep piling foundation with massive amounts of concrete and 100’s of 50’ oak timbers driven into the ground. I &M spared no expense with the construction of the facility when initially built. In the 1950’s with the popularity of electricity becoming more and more, I&M decided to remodel the north half of the service garage into an auditorium. This newly remodeled space created the large limestone front entry we see today. Also at this time, 2 test kitchens were built to showcase all electric appliances and all electric heating systems for homes. This test kitchen and auditorium remained until the renovations of 2007. I&M sold the building to Saluto Foods in 1977. 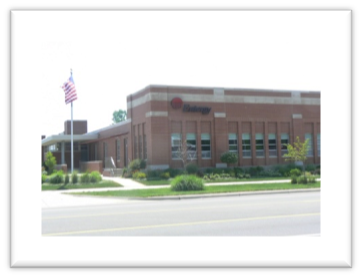 Saluto Foods (maker of frozen pizzas) used 330 W. Main for their administrative offices. At this time, numerous dark paneled offices were built on the West part of the building behind the auditorium. Saluto Foods sold out to General Mills around 1981. The building was sold in 1982 to a private investor and soon afterwards, Action Garment Rental occupied the building. No major remodeling was done until the late 1980’s or early 1990’s. The beautiful brick facade and windows were covered over with steel at this time. Two additions were built onto the back of the building by AGR to house washing machines and a water reclamation system. In or around 2003-2004 Action Garment Rental vacated the property. In May 2006 Prairie Real Estate purchased the building. In November 2007 Prairie Real Estate moved forward with redevelopment of the building. Everything inside the building is gutted and removed. The steel siding on the front was removed. The beautiful brick exterior was exposed and subsequently restored through a meticulous process of removal and replacement of each brick on the East half of the front. The West half of the front was tuck-pointed. The parapet walls were rebuilt to match the original 1920’s design with 24” limestone caps. All new windows, electrical service, HVAC service, roof, plumbing, etcetera are installed into the building. The interior is sandblasted to remove 80 years of dirt and grime. As signage indicates, Entergy now occupies the East half of the building. More custom remodeling is done to house the new Emergency Operations Center for Entergy/Pallisades Nuclear Power plant. This EOF is currently rated as the best in the nation according to advisors that have toured the countries Emergency Response Centers for nuclear plants. Through continued work at 330 W. Main, Prairie maintains a standard of perfection with landscaping and ground work along with the primary goal of keeping tenants happy and worry free. We feel this building represents the history of Benton Harbor with its beauty of architecture deeply rooted in the Industrial Revolution. 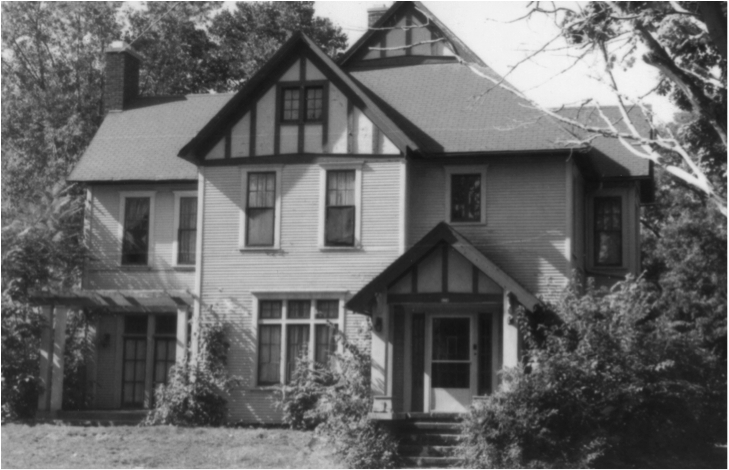 · 760 Colfax was built by Charles Young in 1907. Mr Young was one of Benton Harbor's most prominent dry goods merchants founding what eventually was Benton Harbor's largest department store Enders and Young. · Following Mr Young, W. Hearn, proprietor of Dwan and Hearn, later Avery and Longacre's mens store which eventually was known as Rorhing's "Stone front" Mens' Store on Main Street. Mr. Hearn was also part of the American Laundry Compnay on Territorial Road. · Following Mr. Hearn, E.Leonard Smith of England, who was a local developer and contractor. Mr. Smith was a director of the Benton Harbor State Bank, now Chemical Bank and an early member of Berrien Hills Country Club. · The last single family owner was Dr. Chester Miller, before the house was converted into apartments in 1963 with the addition in the rear from 1964. 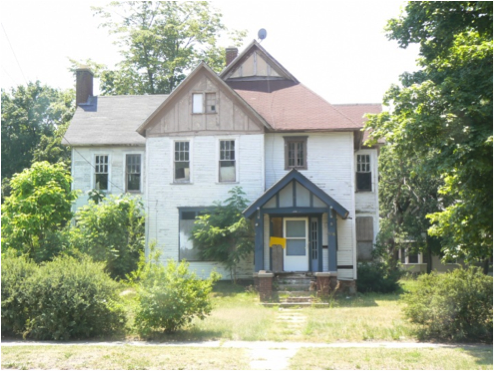 Benton Harbor’s neighborhoods are under enormous pressure due to demolition through neglect and outright destruction. The unique historic fabric of the city is being unraveled through lack of coordinated use of preservation and re-use by city officials, developers, and residents. With millions of dollars being used to remove simple historic structures, costs of housing will rise significantly, if housing is constructed in our lifetime. We urge a more balanced effort that might still save further sections of the city from devastation.